There is nothing more rewarding than making something yourself, I am always trying something new, or making something new. 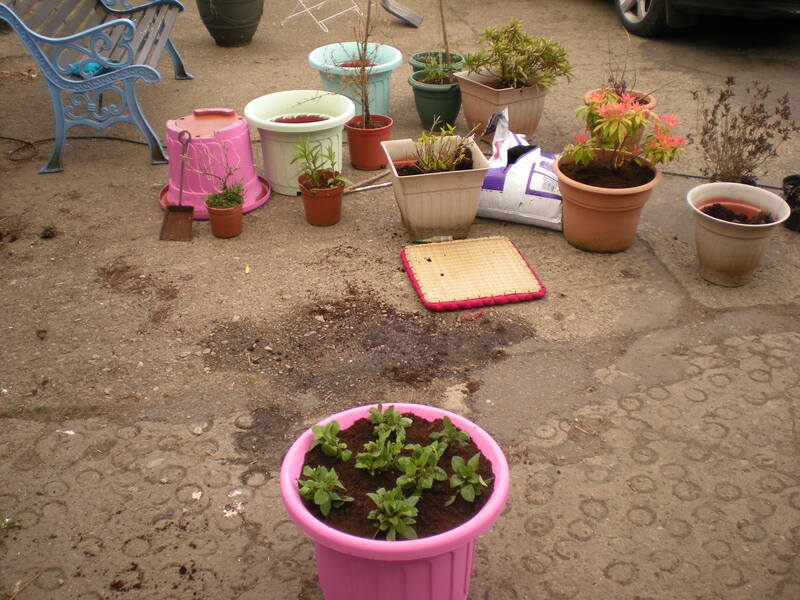 I purchased these flower pots for €2.99 and I am painting them different colours. The paints are samples paints at €1.00 each and I have mixed them with white gloss paint so the paint doesn’t run or I would have a rainbow yard. Will be glad to show you the finished product, when it stops friggin raining. Can’t wait to get them finished, it will be so colourful, imagine all the colours when the flowers bloom, you will probably see them from space, Ha. 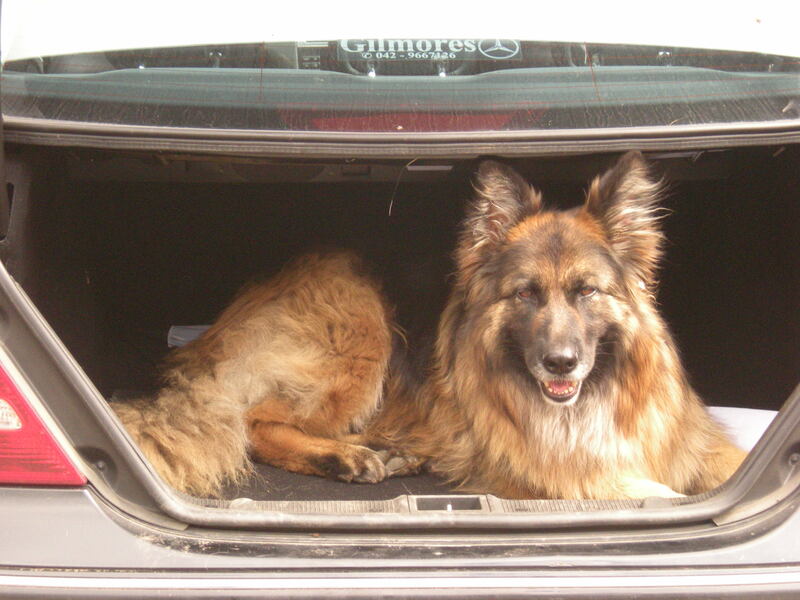 Molly my faithful companion likes to sit in the car boot and watch me make a mess. 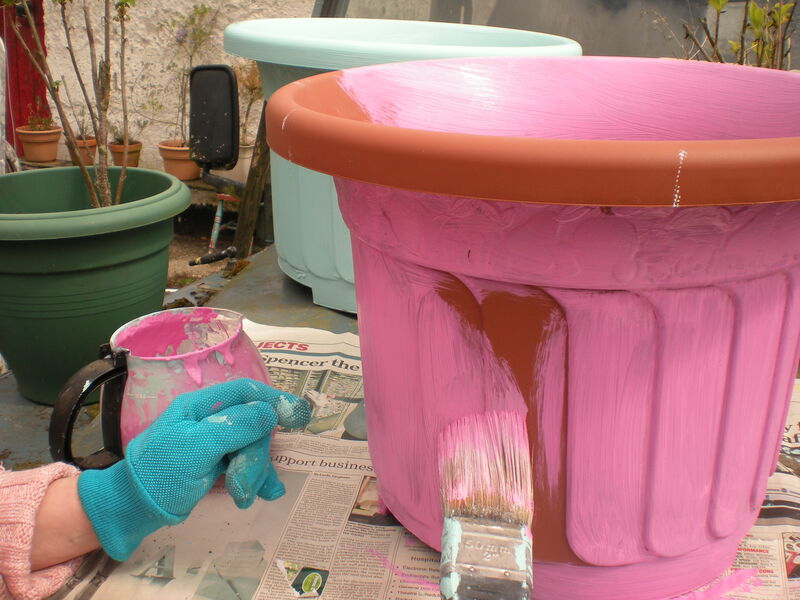 I Love that — painted flower pots … I have about a dozen pots just waiting for the flowers and now you’ve given me a great idea – !! !